Holy mother of Mary- A bowl of Indian Carrot pudding [Paleo, sugar-free, vegan] ! 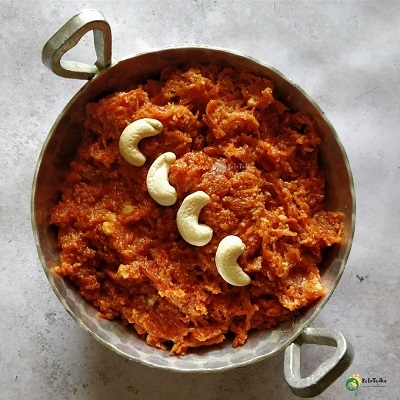 Paleo Gajar ka Halwa !So freakin irresistible and tasty, I would kill for this one. 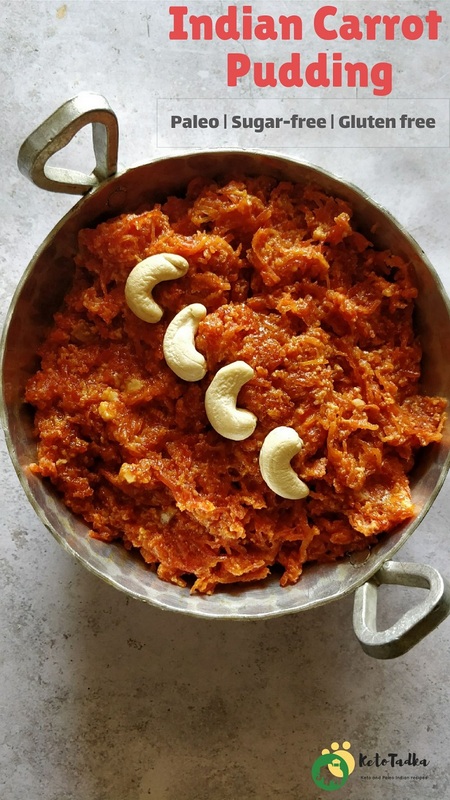 It is traditionally made by cooking the shredded carrots in milk and sugar, until it becomes thick enough like a pudding, but we are making it healthy and paleo friendly just by tweaking some part of the traditional recipe. The halwa is best served cold or warm. The rich flavour of coconut milk along with cardamom just takes the pudding to another level. The pudding can be stored in the fridge for 3 days. It tends to become little hard when referigerated, I always microwave it before having it. Also, if you are familiar with Indian barfis, you can spread this halwa in a 6 inch sqaure tray and freeze until it sets. Melt the ghee in the pan. Add the grated carrots and roast the carrots until they turn little soft. This step should give a wonderful aroma of ghee and the carrots. Keep on turning for 8-10 minutes. Let the flame me low. Add the coconut milk and mix well. Cook the carrots for 15 minutes. Keep on turning so that it doesn't stick to the pan. Add the crumbled paneer and cook for 5 minutes. Add the xylitol and cardamom powder and mix until all the milk has evaporated. Garnish with cashews , raisins and enjoy !